I love my Instant Pot pressure cooker, it’s currently my most used kitchen accessory and has made meal planning and prep a breeze! read on to find out what my favorite Instant Pot accessories are. While it comes with a few useful accessories such as a small trivet and a simple serving spoon, you’ll quickly find that there are several other ‘must have’ Instant Pot accessories that will make your pressure cooking life much easier. 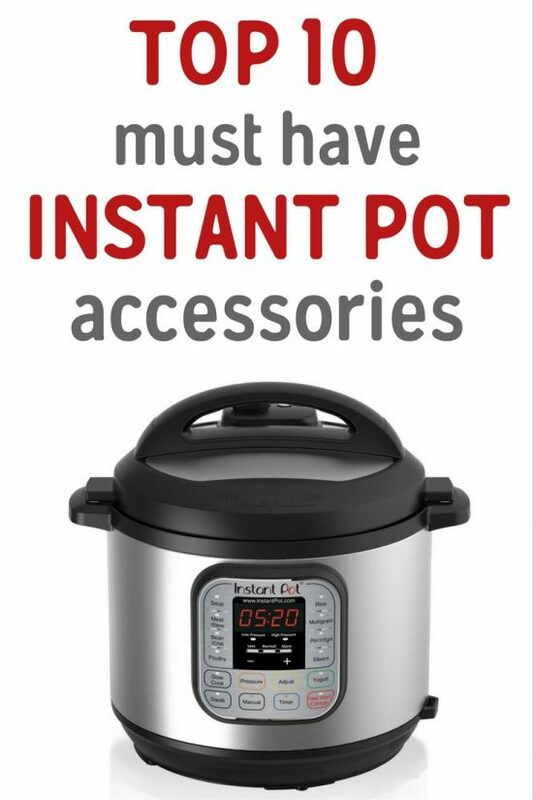 I have a lot of these Instant Pot gadgets already, but there’s always room for more, lol!! I’m an Instant Pot gadget hoarder, I hope you find something you like in my list! The 2 trivets for eggs do not fit in my 6qt instant pot. Can only use one at a time . Do you put them in above the fill line? Hi Jean, I’ve added a note to the post, you can only use one trivet in the 6qt and both in an 8qt. like to know where I can purchase the extra ceiling rings for my 7in 1 instant pot.